"So What Are You Going to Do with That?" 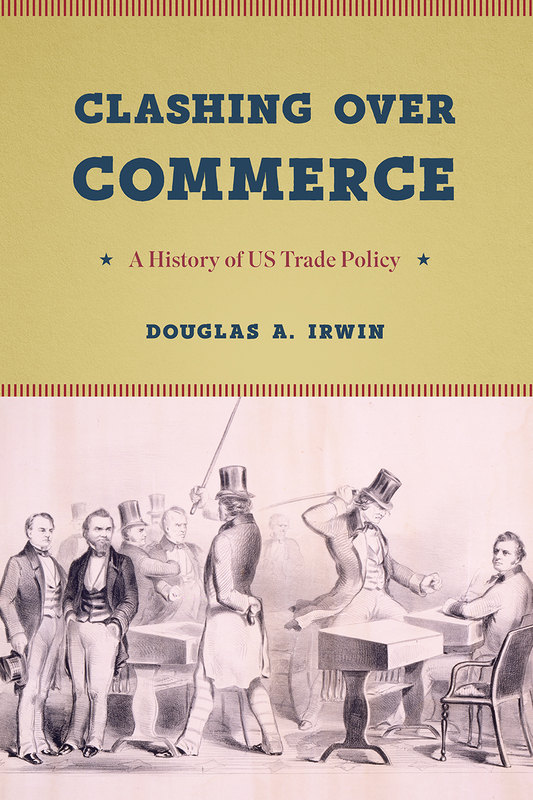 Douglas A. Irwin’s Clashing over Commerce is the most authoritative and comprehensive history of US trade policy to date, offering a clear picture of the various economic and political forces that have shaped it. From the start, trade policy divided the nation—first when Thomas Jefferson declared an embargo on all foreign trade and then when South Carolina threatened to secede from the Union over excessive taxes on imports. The Civil War saw a shift toward protectionism, which then came under constant political attack. Then, controversy over the Smoot-Hawley tariff during the Great Depression led to a policy shift toward freer trade, involving trade agreements that eventually produced the World Trade Organization. Irwin makes sense of this turbulent history by showing how different economic interests tend to be grouped geographically, meaning that every proposed policy change found ready champions and opponents in Congress. As the Trump administration considers making major changes to US trade policy, Irwin’s sweeping historical perspective helps illuminate the current debate. Deeply researched and rich with insight and detail, Clashing over Commerce provides valuable and enduring insights into US trade policy past and present. "Tells the history of American trade policy, showing that trade is neither dull nor deserving of the attacks on it. . . . As Mr Irwin spins this grand narrative, he also debunks trade-policy myths." "Clashing over Commerce is a very impressive book. Besides a detailed history of trade policy, it provides a general picture of American political and economic history." "At a time when concerns about trade wars unsettle financial markets and engage media pundits, those seeking a deeper understanding may choose to consult Irwin's hefty volume." "At a time when Washington’s approach to trade seems poised to undergo a significant shift, this magisterial book surveys the entire history of US trade policy since the Colonial era, using congressional debates and actions to show how conflicting domestic economic interests have led Americans to clash repeatedly over trade." "Irwin’s magnum opus . . . is already a classic. Given the prominent role trade is playing in politics right now, it is also very timely. At almost seven hundred pages, Clashing over Commerce looks intimidating. But once you start reading, it isn’t. Irwin tells a coherent story that spans generations, showcasing the prominent personalities in the great trade debate, their larger philosophical and economic arguments, and the legislation and policies they fought over. It hits on all levels."